Spend a few days in each of the three southern cities of Melbourne, Canberra and Sydney for a great introduction to Australian city life, with superb dining, world-class museums & galleries, and the perfect Aussie lifestyle. 2019 package holidays to Melbourne, Canberra and Sydney Prices are per person based on two sharing, including flights and accommodation, and are subject to availability. Fly from London to Melbourne, arriving the next day. On arrival make your way from the airport to your chosen hotel, for a three night stay - we have a range of hotels to choose from, and your length of stay in Melbourne is flexible. Spend your time in Melbourne exploring this cosmopolitan city - we’d recommend taking in the view from the Eureka Skydeck. Make your way back to Melbourne airport for your flight to Canberra. On arrival, make your way to your chosen hotel for a two night stay - as with all of our destinations we have a range of hotel options available. 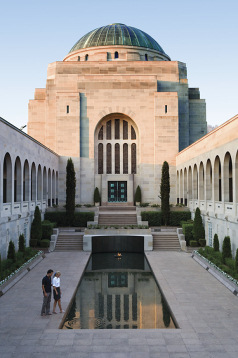 Canberra is yours to explore. We’d really recommend visiting Australia’s Parliament House (opening hours permitting) or just admiring the architecture of the building and the city from its grounds. Make your way back to Canberra airport for your flight to Sydney. On arrival, make your way to your chosen hotel for a four night stay. Over the next few days get to know Sydney a little better. Any visit to Sydney should include a ferry ride on the famous harbour, so head to Circular Quay to take one of the regular commuter boats or a more organised sightseeing trip. 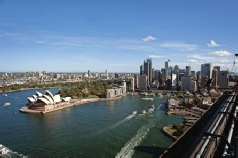 Make your way to Sydney airport for your return flight to the UK, arriving the next day.